The Reading Agency will be announcing their book list on 13 December for 2018 World Book Night on 23 April. We will be applying for books to cover our two sites at Parkshot in Richmond and Hillcroft in Surbiton. We’ve been running reading groups again this autumn term for our students with Kingston University monthly for more confident readers (The Real Book Club) and Fridays weekly for less confident readers (Hillcroft Bookateers). In addition 6 new Quick Reads are set to hit the shelves on 1 February 2018. So we will order these in shortly. Their authors include Fern Britton, Dorothy Koomson, Mark Billingham, Kit de Waal, Tammy Cohen and Vaseem Khan. The books look at friendship, secrets and lies, marriage and what happens when you lose your mobile phone! In the mean time we’ve given the Quick Reads area of the Learning Resources Centre a bit of festive spirit in the photo above! We’re so excited as we’ve received a Library Literacy Grant from Better World Books to create reading groups at our college this academic year. Our grant will help us get new books to reflect women’s issues and experiences. We will also buy more ereaders so we can get our students reading on digital devices. During the summer we established links with our local Surbiton library so we can encourage our students to join and borrow from the local library and use their ebooks too. Through one of our team’s connection to Kingston University Library we have been able to set up two groups; a Hillcroft College and Kingston University Group and a Hillcroft College Group. The group with Kingston is targeting more confident readers and runs monthly. Whereas the Hillcroft one is running weekly for the less confident readers. We’re already in week 2 of our programme. To measure the success of our project we’ve taken and adapted questions from the Reading Agency’s Reading Outcomes Framwork Toolkit. Throughout the project we’ll be asking our participants to give us feedback on the groups and their reading. This will include a UX (User Experience) reading journey as well as video diaries. The Kingston group started off last week reading Jackie Kay’s Red Cherry Red. Watch out this year as we chart the groups activities. We’ll be using our grant along with the National Lottery grant to create a relaxing reading area conducive to reading for pleasure! Last week we added some Quick Reads onto our Dawsonera ebook platform. We love Quick Reads as not only do they suit our students from entry level 3 but we also find them a relaxing easy read as well. Plus we promote them as part of the Reading Ahead scheme we run annually at our college to boost reading and literacy. Up until now Quick Reads have only been available to us as Kindle editions. Take for instance Lucy Diamond’s A Baby at the Beach Cafe which we gave away at our World Book Night 2016 event. The snag with that for our learners is we currently only let our learners use the Kindles in the classroom. So if they want to read an ebook at home they then need to turn to our ebrary or Dawsonera ebook platform platforms. These platforms mainly offer academic text books which don’t suit our learners doing entry level 3 – level 1 courses. Now that we can start offering Quick Reads as ebooks this will benefit students on our literacy, dyslexia and English for Speakers of Other Languages (ESOL) courses who can access these on or offsite on laptops or PCs or even download them to smartphones and tablets. Because we have Single Sign On (SSO) students can get straight to the ebook either through logging onto the network and either going through the catalogue record or the VLE Eresources Dawsonera link. Trouble on the Heath by Terry Jones. If you are not a Hillcroft student you will find Quick Reads to borrow in most UK public libraries. This week we’ve been digesting all of our data for our Self-Assessment Report (SAR). You may be scratching your head wondering what it is! Basically it’s a review of the impact of what we do on our students. We produce one every six months and this one is looking back at 2014/15. Part of the process is to identify our strengths and weaknesses as well so we can flag up improvements for the next academic year which go into our Quality Improvement Plan (QIP) for 2015/16. Increased audovisual material for learners to borrow by 7%. 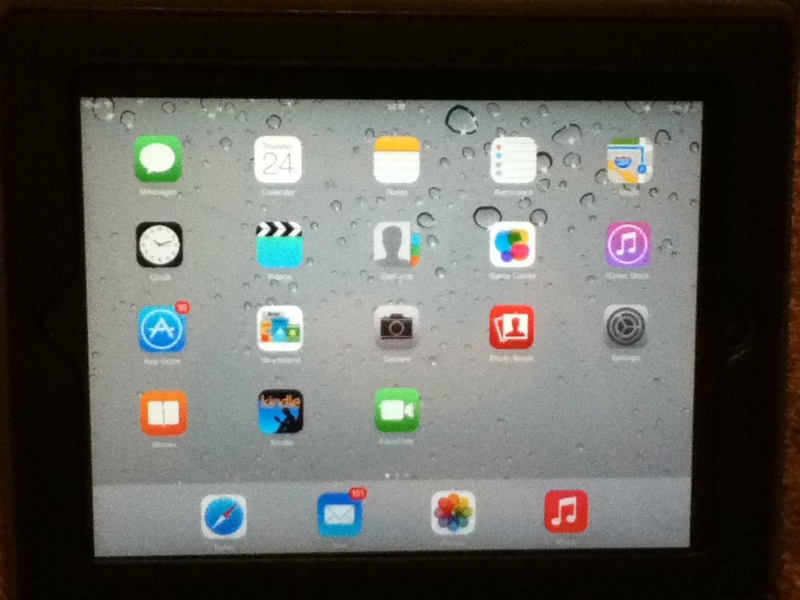 Introduced iPads into the classroom for learners to boost their digital skills – included reading apps. Increased use of eresources by 47.2% – getting more learners used to ereading material and building digital skills. Improved Virtual Learning Environment (VLE) material – embedded videos to reinforce induction content, new Reading for Pleasure section to encourage reader development and apps to help to hone information/digital literacy skills. Greater promotion of reading – National Libraries Day, more Six Book Challenge completers, World Book Night and Reading for Pleasure Moodle VLE block. Extra refresher/consolidation sessions on information literacy skills eg referencing. Rolled out dyslexic friendly labeling for books to help navigate our material – based on the International Libraries Association Federation (IFLA) Guidelines for Library Services to Persons with Dyslexia. On Wednesday 24 June we passed over Six Book Challenge certificates to our students from Future Proof/Next Level and Dyslexia: Reading at our Diversity and Achievement Day. They’ve done a great job reading 6 items each and reviewing them ahead of the 29 June national deadline for the prize draw. We’ll be entering their names for the prize draw. If they win they will get a free trip to London with a friend. There is also the chance to win Kobo Touch ereaders. 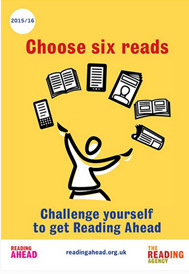 Six Book Challenge helps adults boost their reading skills, gain confidence and read more. This is the end of our third year of the programme and it’s a delight talking to students about their reviews and giving them a sticker of their choice as they review each item. The Reading Agency who run the Six Book Challenge reading programme have renamed and rebranded the programme for next year. It will now be known as Reading Ahead. Same format – just an emphasis that one of the six items you read can be anything from a website to a leaflet, to a recipe, or a magazine article, poem, email or book. We’ll be getting some of the new promotional material ready for starting it in our autumn 2015 term. Find out what Hillcroft College: courses are coming up at Hillcroft on our website. If you’ve got a child then look out for local public libraries running the Summer Reading Challenge to keep up their reading over the school break. Kingston Libraries local to our college are running this for kids and for adults.